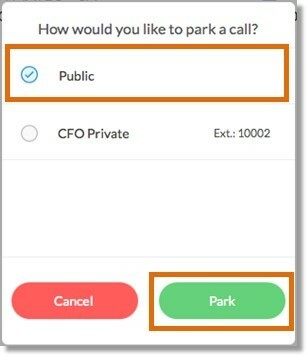 Call Park is a feature which allows AT&T Office@Hand Premium users to put a call on public call park and have a user pick up on another phone by dialing the park location. This article will guide you on parking and retrieving a Parked call. Follow these steps to park and retrieve a parked call. On an active call, press the More soft key until the Park soft key is displayed. 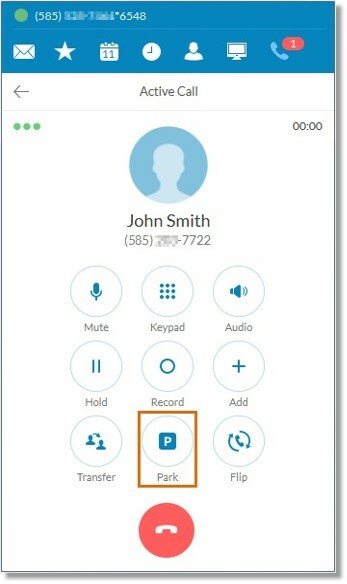 Listen to the prompt indicating that the call has been parked and the park extension. To retrieve the call, press * + the park location. Press (*) for more options. You will be given the option to transfer, park or cancel the action. Press three (3) to park the call. Note: If your IP Phone does not support call park, you can use # # * 3 to park a call by touch-tone command. Refer to your IP Phone’s documentation for a list of compatible features such as Call Park. 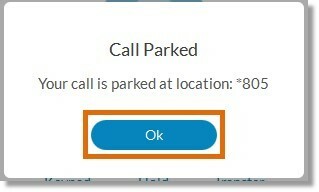 During an active call, click the Park button.